In the last few years the wealth management industry has witnessed some impactful trends, such as a decrease in customers’ trust of traditional financial services, more interactive client experience through goals-based planning, and a shift to digital as customers’ primary channel preference for the services they receive from financial institutions. 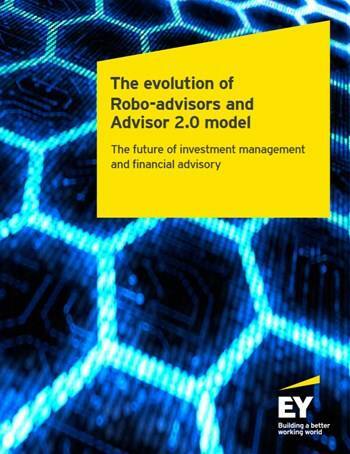 The steady rise of digital entrants into this area and the significant shift in customers’ channel preferences and spending habits have led to the development of two key groups for advice-based wealth management: software platforms that provide fully automated investment services (Robo-advisors or “Robos”) and human advisors equipped with robust automated capabilities like analytics and digital tools (“Advisor 2.0”). In this paper we look at the emergence and maturing of Robo-advisors and review these along with the traditional human-advisor-based firms and their adoption of technology advances. The incumbent firms are exploring and investing in sophisticated tools and technologies such as advanced analytics and AI to provide a richer toolkit for the advisor and enabling a more insightful experience for the customer. While Robo-advice provides an efficient platform for investing, the importance of the human element cannot be emphasized enough, as seen by the gradual convergence by both sides towards a hybrid (human + robot) approach. It remains to be seen what the model will evolve to, but it is for certain that the human element will be at the center of it.